Tallahassee Chiropractor Dr. Joseph Miller utilizes MedX spinal rehabilitaion equipment at Tallahassee Spine Center to treat low back pain and neck pain. 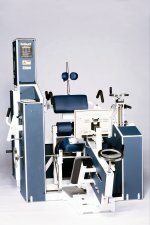 MedX rehabilitation equipment was designed by Arthur Jones founder of Nautilus equipment. 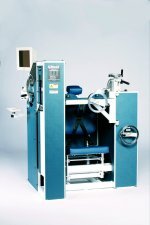 Medx medical equipment provides functional testing and spinal rehab therapy. Testing provides functional assessment about your back and neck that can be compared with normative data complied by medx. The information collected from testing allows Dr. Miller to customize a medx based strengthening program to target the weak and injured areas of your spine. Medx machines are adjusted to each patient during the first therapy session. Gradually the back and neck muscles are strengthened leading to long term success for the patient. The patient is retested during the strengthening program at regular intervals to make sure progress is being made. Because of the precision, medx training can be more effective than conventional strength training. We are proud to offer Medx rehabilitaion at our Tallahassee office for your spinal care needs, please contact our office for an evaluation and treatment.